Dr. Rasmussen is a general dentist who was born and raised in Tampa, FL. He grew up around dentistry as both of his parents, and all three of his siblings are general dentists or periodontists. He enjoys volunteering his skills both domestically and abroad, having volunteered at Dentistry from the Heart, completed mission work in Jamaica, and most recently traveled to Nicaragua for a month to serve those in desperate need of dental care. 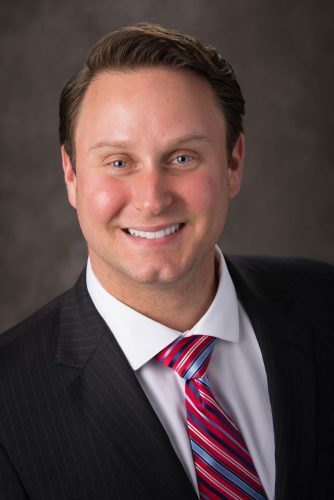 In his free time, Dr. Rasmussen enjoys attending local events for the Matthews Chamber of Commerce, exercising, golfing, showing his family and friends around that Charlotte area, and cheering on his beloved Florida Gators. If you ask, he’ll be glad to share his thoughts about the SEC being better than the ACC, even though we know that’s not true! He earned his bachelor’s degree from the University of Florida where he was involved in dental research, received his master’s degree in Biomedical Sciences from Barry University where he was both Vice-President and President of the Biomedical Sciences Society, and graduated dental school from Nova Southeastern University in Ft. Lauderdale, Florida where he was the recipient of the Student Leadership Award. Dr. Rasmussen has received advanced training from the Spear Dental Education Center and is an active member of Seattle Study Club, which are two of the largest international dental organizations dedicated to excellence in comprehensive dentistry. He has earned certifications in Invisalign, Fast Braces, the Phelps Institute, and is continuously furthering his education. Dr. Rasmussen strives to provide you and your family personalized dental care that exceeds your expectations. He offers many facets of dentistry including root canals, same-day crowns, implant crowns, fillings, extractions, and dentures. Dr. Marc Rasmussen is a great dentist and an even better person. I have had the privaledge of knowing him the better part of the last 5 years. I have always known him to be knowledgeable in both the science and business of dentistry. He is someone who I can go to when I have questions about any aspect of dentistry, and he always has insightful information. I would highly suggest Dr. Rasmussen for any dental needs. Dr. Rasmussen is one of a handful of dentists I know that has the combination of having exceptional clinical skills along with a wildly likable personality. Within 30 seconds on meeting Dr. Marc you can tell he’s a genuine person. Great talent to have in the field of dentistry! Can’t say enough good things about Dr. Marc Rasmussen. He is a talented Dentist with a passion for providing his patients with the best care possible. I would trust him to work on my family and would encourage you to do the same. Aside from being an excellent clinician, Dr. Rasmussen puts patient experience at the forefront of every dental visit. An excellent and truly deserving DCA nominee. Dr. Marc is awesome! He is an extremely intelligent and very dedicated doctor. He is constantly learning and keeping up with all the latest and greatest technology. 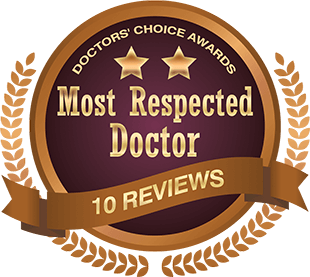 Dr. Rasmussen should be at the top of the list for the Doctors choice award. 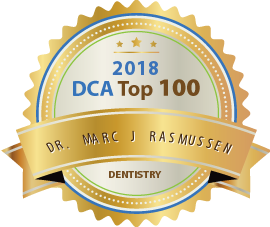 Dr. Rasmussen represents the best in our field of dentistry! He sees dentistry as a way to help others in need, which is why he consistently gives back by performing volunteer dentistry both locally and abroad in his free time. It’s wonderful to know a doctor who performs dentistry for all the right reasons, and also stays current with the latest trends and technology to provide quality care. I cannot give higher regards to a fellow dental colleague! Dr. Rasmussen is always looking for the best way to keep himself updated, meet new colleagues, and make patient care at his office a superb experience! Dr. Rasmussen is an excellent clinician and even better person. He is always learning the latest techniques in dentistry to provide his patients the best care but still has time to give back both locally and abroad. His demeanor, people skills, and knowledge make him a great dentist. He is the consummate professional that is willing to go the extra mile for any of his patients. 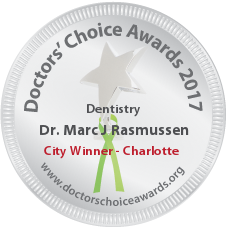 Dr. Rasmussen is an outstanding candidate for the Doctor’s Choice Award! Great Doctor. Truely cares for his patients! Dr. Rasmussen is hands down a top quality dentist that should be recognized throughout the the field of dentistry. It’s rare to find a professional with the drive to achieve and the personality to accompany it. Highly recommended without hesitation. Dr. Rasmussen is one of the most caring individuals I have had the pleasure of knowing and working with in the dental field. His passion for constant improvement along with his ability to relate to patients and their individual needs sets him apart from colleagues. Those attributes reflect in his dentistry which is of the highest quality and standards. Dr. Rasmussen is an excellent clinician who gives quality care to his patients.